These ones didn’t get away – a true fish story! 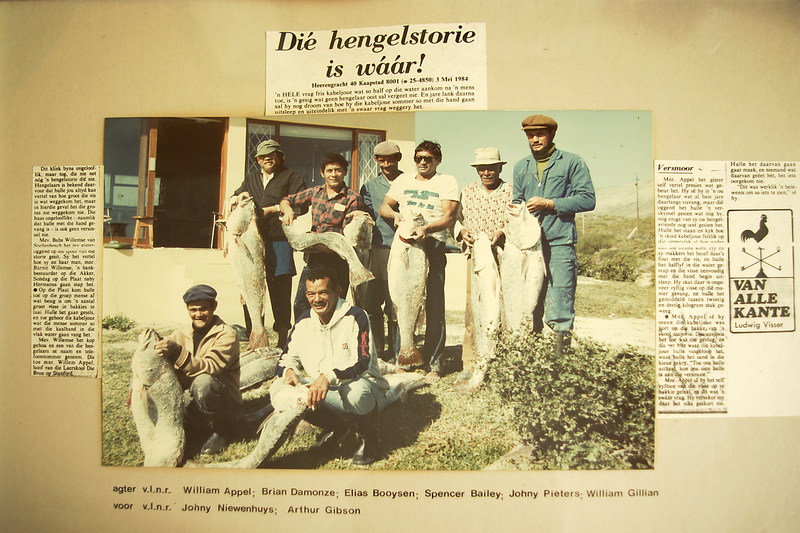 In May of 1984 Mr Willem Appel, then still principal of Die Bron School in Stanford, and his fisherman-friends were fishing at Die Plaat in the Walker Bay Conservancy. They were stunned to see a school of cod nearing the beach almost as if drifting on the water. They realised something was wrong with the fish as he and his friends walked waist-deep into the water and dragged the fish out by hand. He reckons they brought about fifty fish, weighing between 20 and 30 kilogrammes each, out that day. Mr Appel reckons the cod must have been chasing a school of anchovies. Most probably the anchovies swam to the shallower water near the beach and that must have been where the cod got sand in their gills, because when they took them out of the water they could see that the fish were busy suffocating. Mr Appel himself took fifteen of these fish home on his bakkie and he says there was absolutely nothing wrong with their taste! 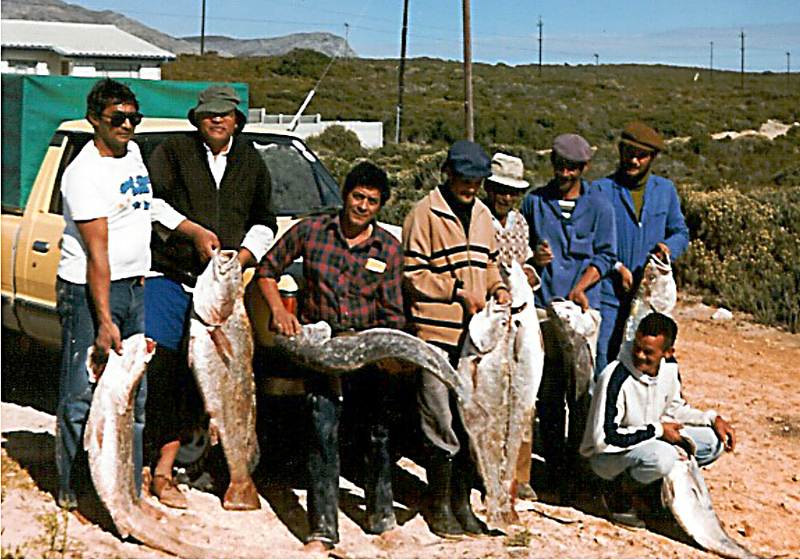 The fishermen: Spencer Bailey, Willem Appel, Brian Damonze, Johny Niewenhuys, Johny Pieters, Elias Booysen, William Gillian & Arthur Gibson in front.